As Rinpoche indicates, the real wealth of Tibet has been embodied in the wisdom and training of its realized teachers, who in coming to the West have been so incredibly generous in sharing that treasure – the buddhadharma – with all of us. 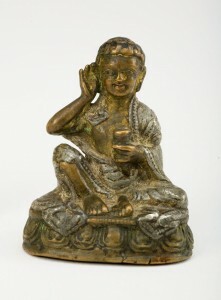 However, in addition to the human beings who are so precious, many dharma texts escaped over the Himalayas. 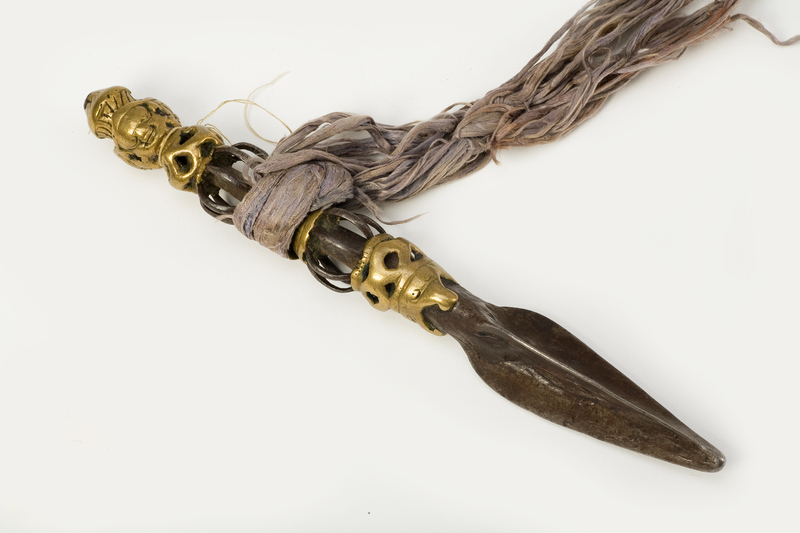 Many sacred objects embodying siddhi, or the power of the lineages of practice, were also hand carried to India in the daring escapes of 1959. Chogyam Trungpa Rinpoche had a particularly arduous journey, walking ten months from East Tibet over countless mountain ranges. He was unable to bring most of the dharma books from Surmang, where he was the abbot. Many precious items were left behind. 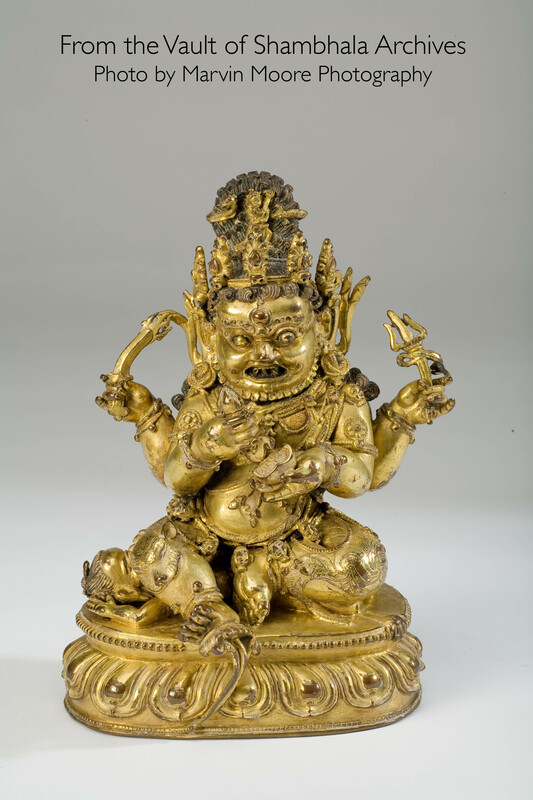 However, Trungpa Rinpoche was able to bring a small group of extremely sacred objects to India with him. We refer to these as the Surmang Relics. 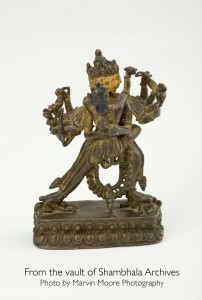 and the Four-Armed Mahakala rupa – this last being the chief protector of Surmang. 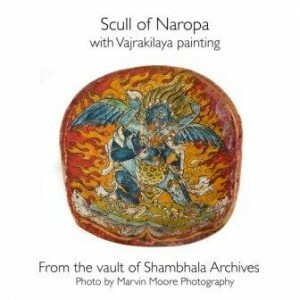 and part of the skull of Naropa, which has an exquisite miniature painting on the inside of the skull. 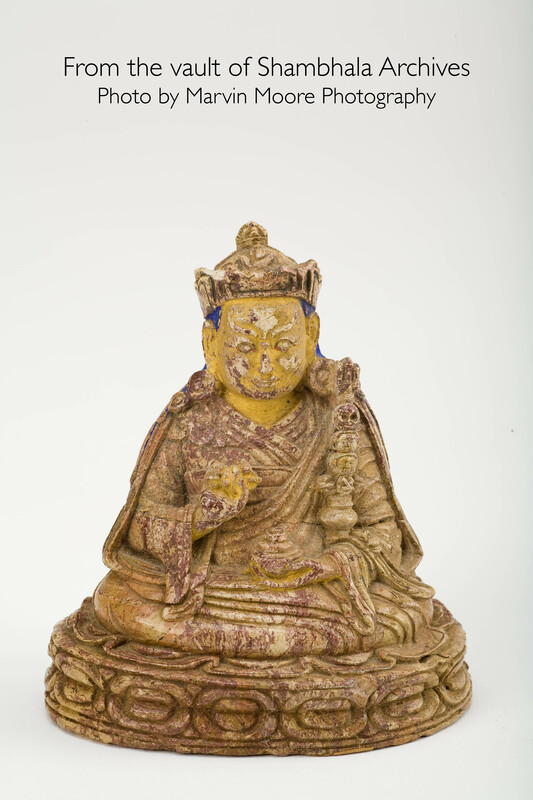 Trungpa Rinpoche brought these objects to North America with him and placed many of them on the main shrine in Boulder in the mid-1970s, where they remained until his Parinirvana. 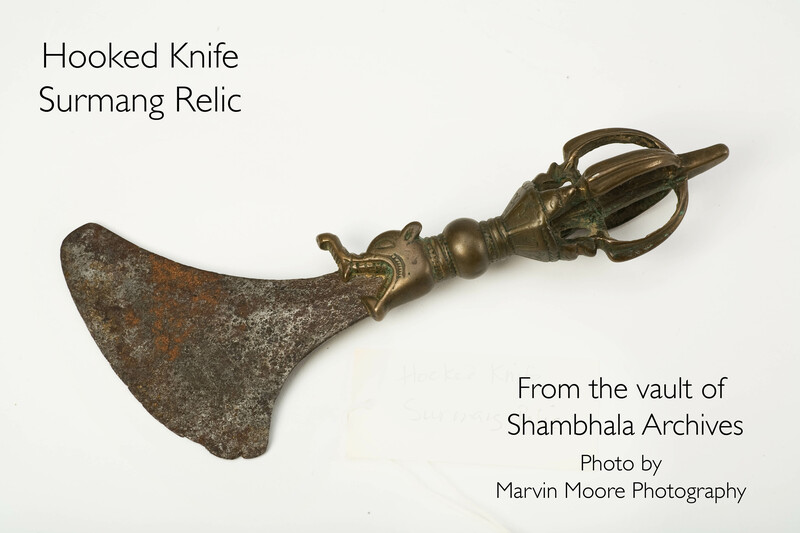 Sometime later, Sakyong Mipham Rinpoche brought the Surmang Relics to Halifax and entrusted them to the Shambhala Archives for safekeeping. 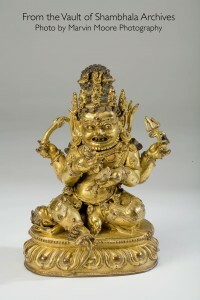 Because of conservation and security concerns, they have rarely been displayed in the last fifteen years, which is a loss to the entire community. 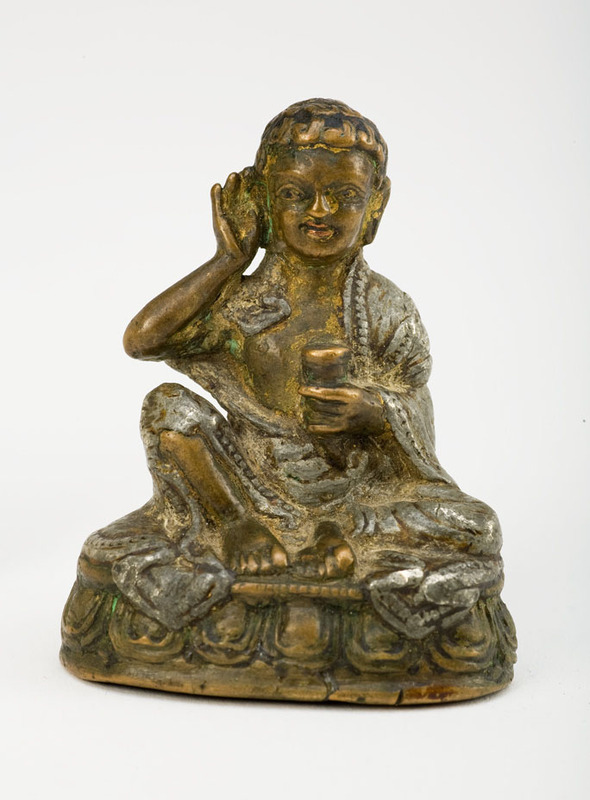 For the first time in several years, a number of these objects will be in the shrine room in Halifax for the Parinirvana practice. Several are too fragile to display at this time. The Archives would like to permanently install the Surmang Relics in the shrine room of the Halifax Shambhala Centre. Some of the funds needed were generously donated about five years ago, but technical problems have delayed the construction of a display case. 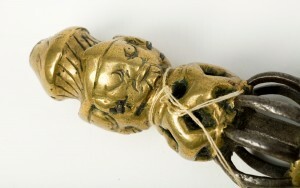 The case will require a separate air-conditioning system, a security system, and special stands for the objects. We hope to complete the project this year. The technical issues have largely been resolved; now we just need to complete the fundraising and do the work! Robert Rader has stepped forward to be one of the project directors, along with Jeanne Riordan-Perks and Carolyn Gimian from the Archives. The wonderful photographs displayed with this article were taken by Marvin Moore. This are things that can be the foundation of the kalapa centre – We should include them in the design. To visualy see and connect to the lineage is not a small thing, in fact it may be quite important in this dark age. Having these relics more open to all would be wonderful to see in the Kalapa Centre. The case would have to be designed to mitigate changes in Temperature and Relative Humidity, vibration, and other concerns, with a backup plan for power failure if powered. Feel free to consult me about reviewing the case design. I first documented and worked with Surmang Relics many years ago, including stabilizing the Vajrakilaya flaking painting inside the skull of Naropa, working with a microscope in a conservation laboratory. Trungpa Rinpoche told me directly how he wanted his paintings and treasures preserved, so, happy to advise on this.